Coiscéim is a publisher of Irish language books and some Scottish Gaelic ones. 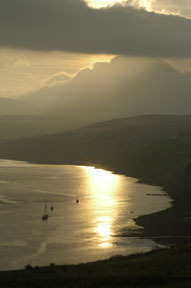 The website of Sabhal Mòr Ostaig, the Skye Gaelic College. A unique establishment providing Gaelic-medium courses including various degree courses. The Sorley MacLean Trust has created a website for the renowned Gaelic poet Sorley MacLean (1911-1996). The Gaelic Society of Inverness site has many valuable links. The Scottish Poetry Library site. Stòrlann is a Stornoway based agency that provides Gaelic resources for schools throughout Scotland.